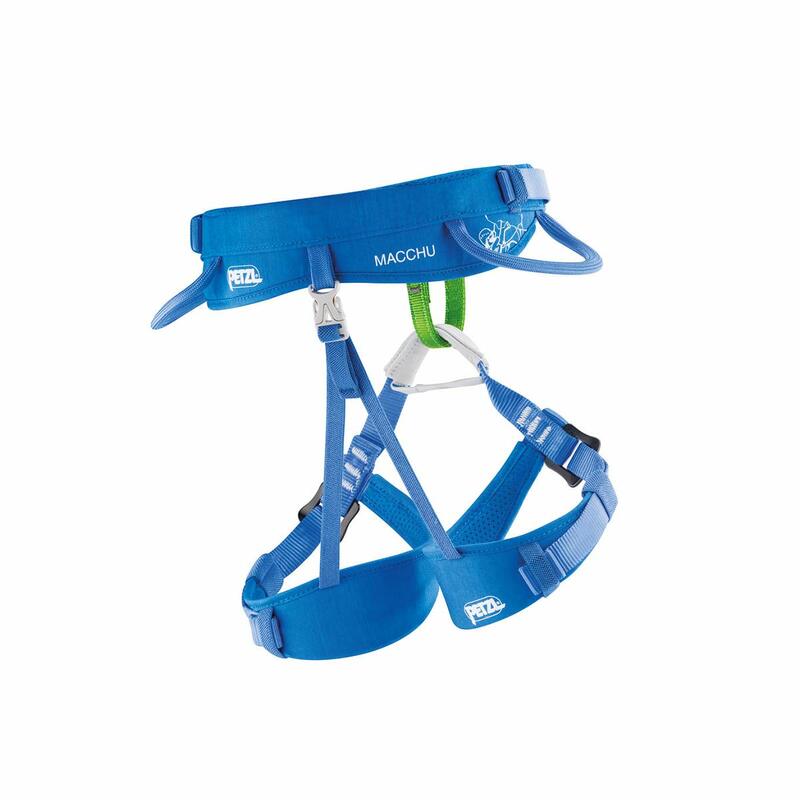 The Petzl Macchu is a fully-featured children’s sport climbing harness identical to an adult's in design and features except with full adaptability to younger climber’s growth. The waistbelt and leg loops of the Petzl Macchu are designed with a range of adjustment options so that the harness grows with the child, so there’s no need to keep buying new harnesses after every growth spurt. 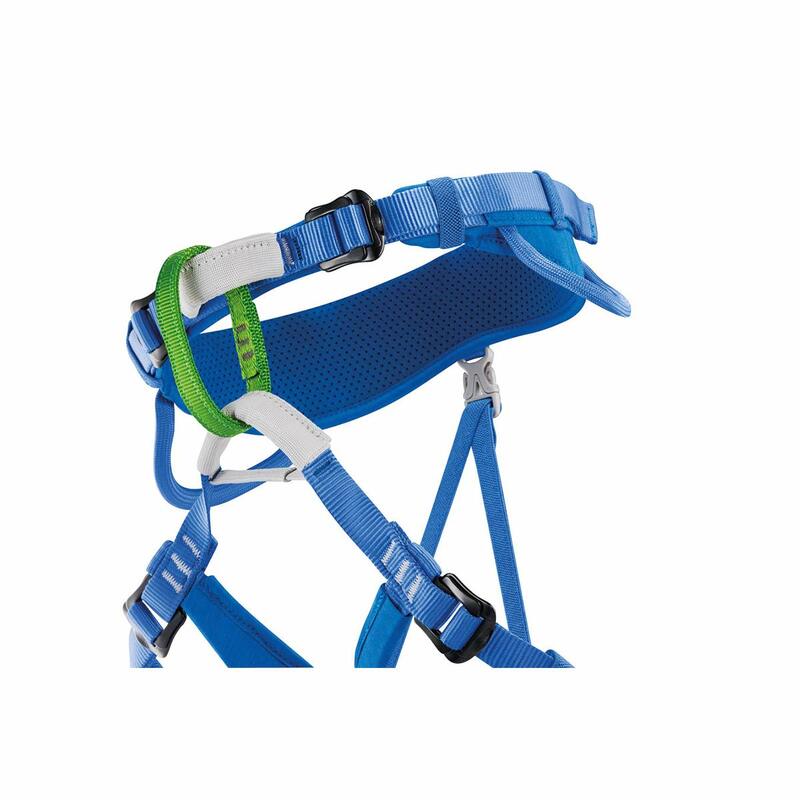 For comfort and support, ENDOFRAME technology (the same that appears on Petzl's adult harnesses) provides smart weight distribution of the climber. This combined with no compression or friction points on the waistbelt ensures a much greater degree of comfort, so the user can focus on climbing and not become distracted or perturbed by any annoying pinches or pains. 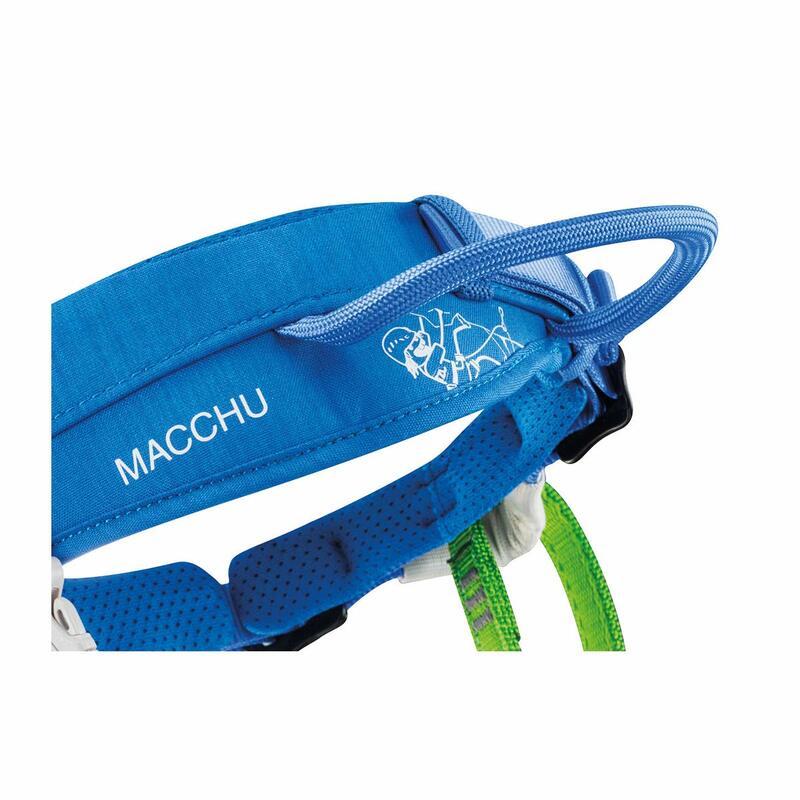 The Macchu is for kids who take climbing seriously and want a comfortable harness that will last over the span of their growth and climbing progression. 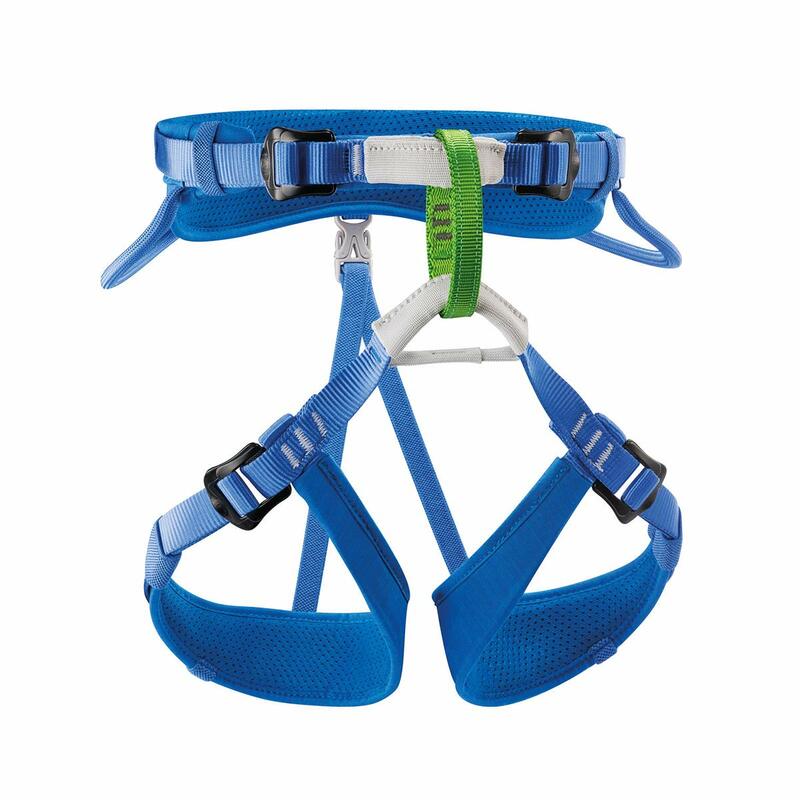 The latest version of the Petzl Macchu harness is designed for little climbers weighting up to 40kg and is compatible with the Petzl Body shoulder straps for extra small climbers. A dual webbing frame with anatomically shaped waistbelt and leg loops to distribute weight more evenly across the entire harness. More comfortable during multipitch and hanging belays, and more forgiving during hard falls. NOTE: For children with less pronounced hips, it must be used in conjunction with the BODY shoulder straps, to avoid inverted falls.